This Military Service Page was created/owned by Felix Cervantes, III (Admiral Ese) to remember Aguilar, Manuel Arenivas, Pvt. 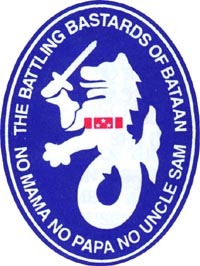 The Bataan Death March (Filipino: Martsa ng Kamatayan sa Bataan), which began on April 9, 1942, was the forcible transfer by the Imperial Japanese Army of 60,000–80,000 Filipino and American prisoners of war after the three-month Battle of Bataan in the Philippines during World War II. All told, approximately 2,500–10,000 Filipino and 100–650 American prisoners of war died before they could reach their destination at Camp O'Donnell. The reported death tolls vary, especially amongst Filipino POWs, because historians cannot determine how many prisoners blended in with the civilian population and escaped. The march went from Mariveles, Bataan, to San Fernando, Pampanga. From San Fernando, survivors were loaded to a box train and were brought to Camp O'Donnell in Capas, Tarlac. The 128 km (80 mi) march was characterized by wide-ranging physical abuse and murder, and resulted in very high fatalities inflicted upon prisoners and civilians alike by the Japanese Army. It was later judged by an Allied military commission to be a Japanese war crime.